Easy to Use and Environmentally Friendly. 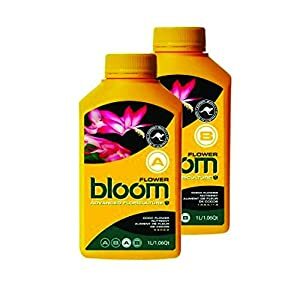 Good for All Plants & Flowers. Safe for Pets and Children. 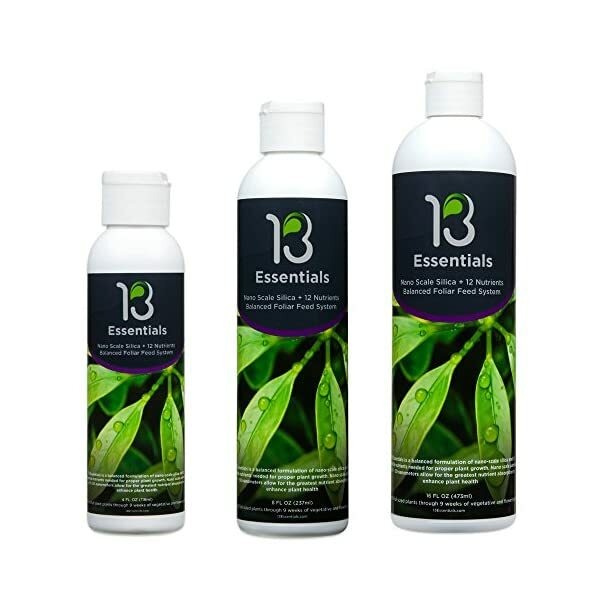 13Essentials is a balanced, nanoscale foliar fertilizer specially designed to increase the overall growth and health of your indoor plants. 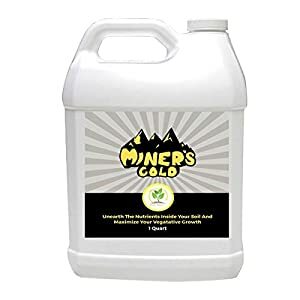 The unique formula contains Silica as well as 12 other nutrients to maximize results yielded by indoor plants grown in soil, hydroponically or in an alternate media such as coco. 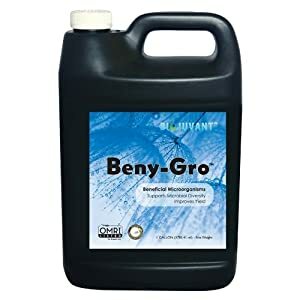 Improves Plant Health, Growth & Resistance to Pests. 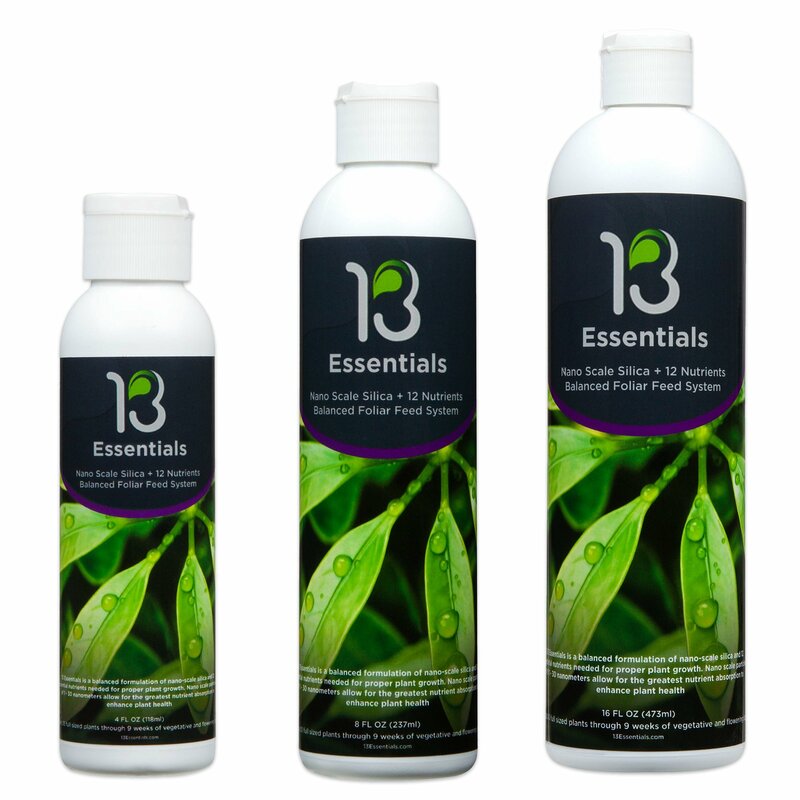 Applied Directly to the Leaves for More Effective Nutrient Absorption & Less Runoff.